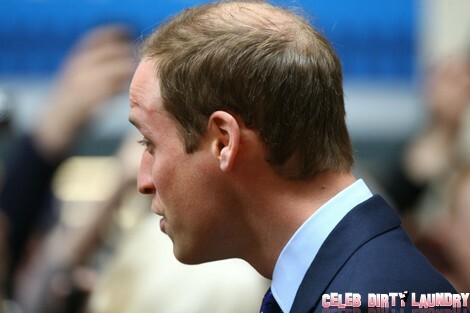 The War between Kate Middleton and Camilla Parker-Bowles has shifted to a new front as Prince Charles’ ambitious wife has now made Prince William’s thinning hair and receding hairline her latest target. Camilla Parker-Bowles hates Kate Middleton for her beauty and popularity, two qualities Camilla has never enjoyed. Camilla desperately wants to be Queen alongside Prince Charles but she knows well that Kate and William would be vastly more capable and popular as rulers. Although she has managed to exert her influence to convince Queen Elizabeth II to allow Charles to inherit the throne, Camilla never lets up. Her agenda is simple – Camilla wishes to see Kate and William humiliated and scorned. Whether Camilla has to resort to the curtsy protocol or Kate’s revealing Honeymoon photos, she is willing to use every tool at her disposal to undermine her rivals. Camilla is like a ninja assassin! Camilla bitterness stems from her fall from grace when it was learned that she and Charles carried on a long clandestine affair. This shameful behavior occurred while Charles was married to William’s mom, the late Princess Diana, and Camilla was married to Andrew Parker-Bowles! Of course this all became very public – you can’t hide anything from the press for long (keep that in mind next time, Kristen Stewart). The resulting scandal prompted Queen Elizabeth to develop a deep distrust and hatred for Camilla. Naturally, being old-fashioned, she placed primary blame for the affair on Camilla… go figure? In any case Camilla has largely been able to mend fences with the old monarch and is working hard to bring down Kate and William. What do you make of all this? Does Camilla picking on William for something over which he has no control disturb you? Do you think that having two cheaters like Prince Charles and Camilla in line to be King and Queen Consort is an insult to the monarchy? Would you prefer to see Will and Kate in those roles? Let us know in the comments.